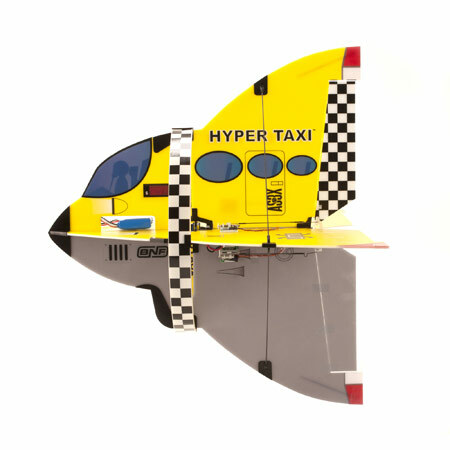 The E-flite UMX Hyper Taxi is a totally new 3D thrill ride that combines aerobatic hyper-agility, super-solid stability, plus the performance to takeoff and land vertically. 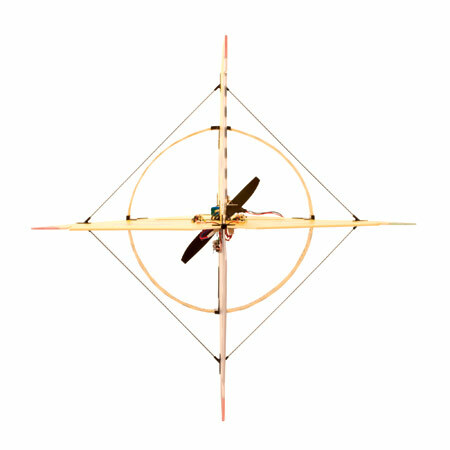 Although it looks complicated, the breakthrough AS3X system electronics help make flying this clever machine enjoyable in any attitude from the stand-still hover, to forward flight and 3D aerobatics unlike any aircraft in the traffic pattern. The powerful, radial-caged brushless motor system offers vertical performance that's a blast, plus the UMX Hyper Taxi with the AS3X System can be ready to fly quickly. There's no special programming needed - the direction and mixing of the four independent servos is complete. Fully charge the included Li-Po battery with the provided charger, bind to a basic DSM2/DSMX airplane transmitter setup, and you've nailed down 3D fun you can pilot almost anywhere.